Fun With Puzzles Brain Teasers Can you Read this Picture Puzzles Can your brain read scrambled words? 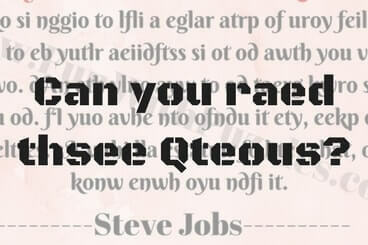 Can your brain read the scrambled word? 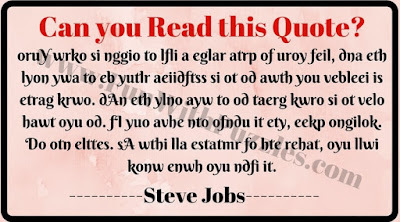 Our brain is very powerful, it can still read if the letters of the word are scrambled. Earlier we have posted many encrypted text reading challenges. In all of these scrambled word reading challenges all but last and first letter of the word are scrambled. In all these reading challenges our brain could read it easily. However today's reading challenge is very tough scrambled word reading challenge. In these challenges there are famous motivational quotes by the famous people. 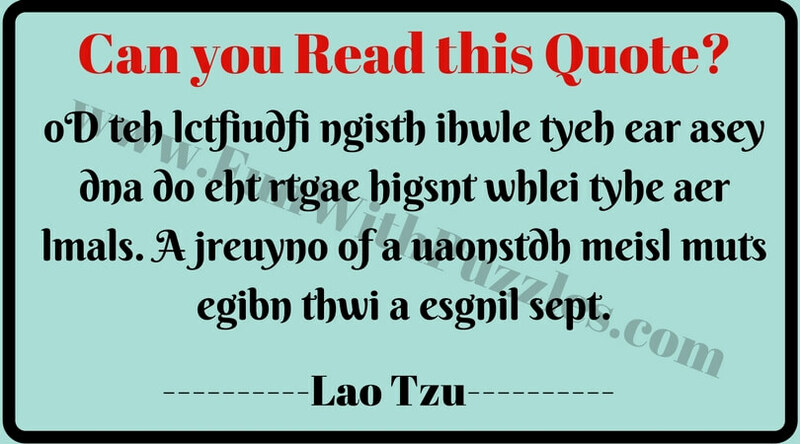 All letters or the words in each quotes are scrambled included first and last letter of the word. 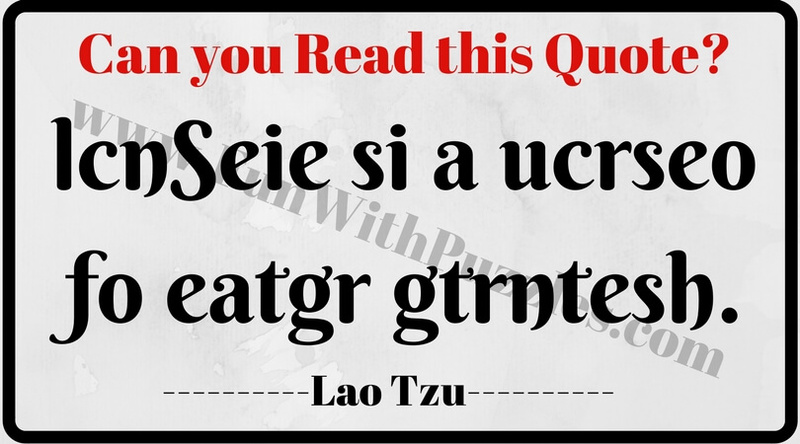 Your challenge is to read all these quotes. Can you read these scrambled word quotes in first attempt? 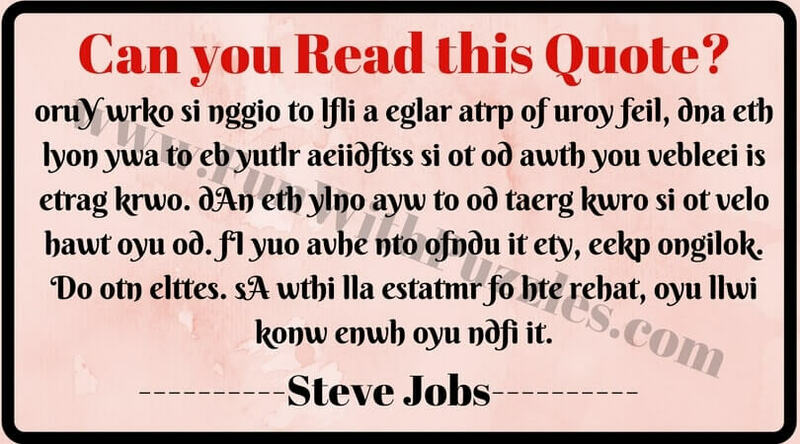 If it is difficult to read these quotes in first attempt, try reading it slowly word by word. 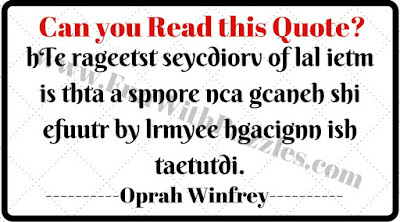 We have given name of the people who has written these quotes in each of these brain teaser pictures. 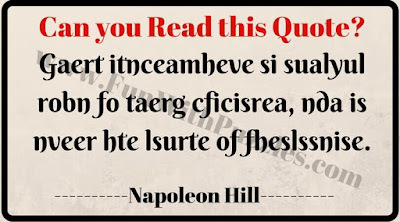 Do write in comment if you are able to read these quotes. 2. 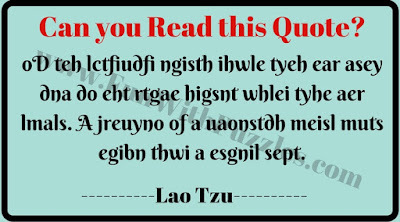 Can you mind read these scrambled words? 3. 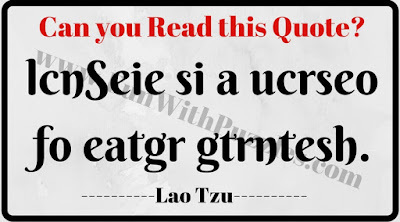 Can you read this message? 1. Reading Picture Puzzles with Answers: Your mind is so powerful that it will be able to read any text no matter how much we can twist the letters of the word. 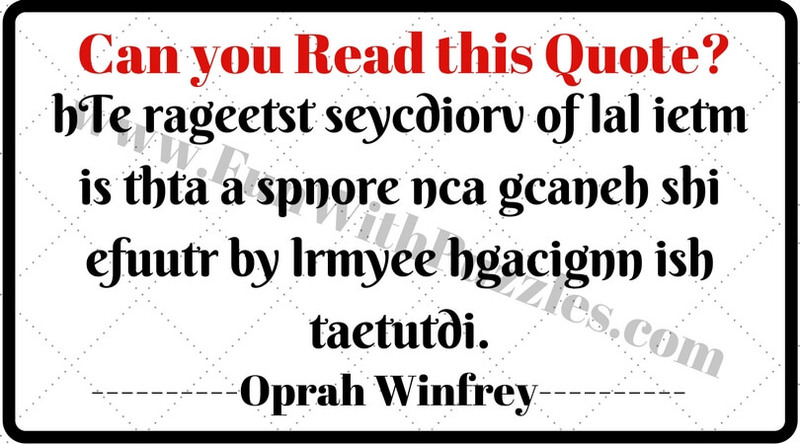 Take this reading test to check it out. 2. Picture puzzles to find the hidden letters: How is your observational skills? Do test your observational skills by finding the hidden letters in the given picture puzzle images. 3. 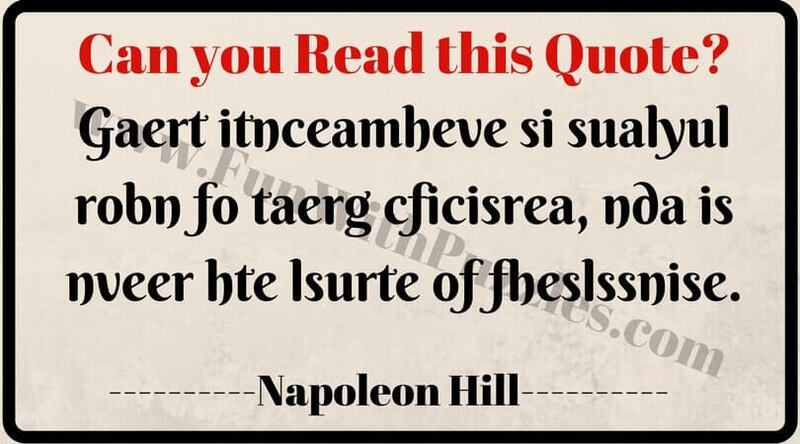 Brain Teasers with Answers: Can you read this? : One more reading challenge in which you have to again read the twisted text. 4. Hidden country names brain teasers: Here is very interesting brain challenge. In these brain teasers you are given some sentences and in these sentences country names are hidden. Can you find these hidden country names?